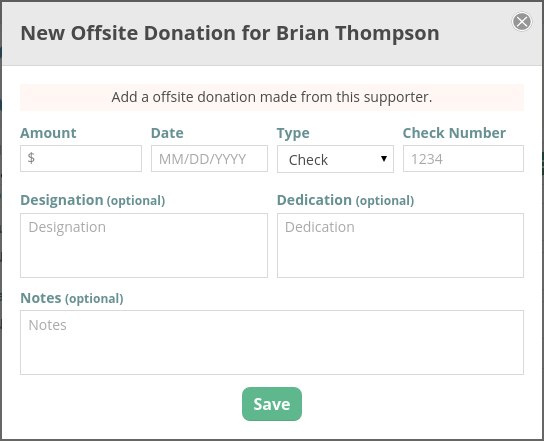 Adding an offline donation to a supporter entry in your database is simple and intuitive within CommitChange's Supporters list. Just navigate to your Supporters dashboard (using the icon that looks like an address book in the left-hand dashboard menu). 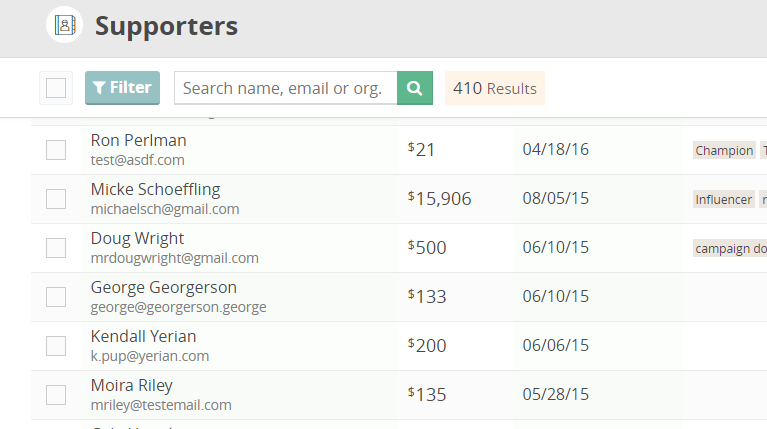 To edit a supporter entry in your database, search for the supporter then click on its entry in the list that populates. Click the "+ Donation" button to add a new check or cash donation. Changes made to your supporters' records are logged and viewable by both Admins and Associates on your account. With our streamlined approach to data management, your staff members no longer need multiple degrees and certificates just to keep your supporters organized.